Service Costs > How Much Does Overnight Shipping Cost? How Much Does Overnight Shipping Cost? Overnight shipping, while it may be expensive, can be necessary for some scenarios. As the name states, overnight shipping can arrive within 24 hours. On average, the cost of overnight shipping will depend on the delivery time frame, package weight, dimensions, delivery distances and if any discounts are available. We played around with the online calculators to see what it may cost to send an envelope/package from New York to Los Angeles, one of the longest routes available within the United States. Remember, your quotes can greatly vary based on the factors mentioned prior. NOTE: Again, these are just ballpark estimates to offer you an idea what it may cost. To receive an exact quote for your shipment, we highly consider using the USPS postage price calculator, FedEx rate calculator and/or UPS rate estimator. Adding a COD and/or delivery confirmation can add a few dollars to the total. Insurance, depending on the value, can add $50 to $100. Pickup delivery charges may apply, depending on the circumstances. For example, the USPS will pick up your package for free if it’s priority mail or a first class delivery. UPS will for an additional charge, and FedEx will pick up for free if it’s a regularly scheduled pickup. Overnight delivery, whether it’s performed by UPS, FedEx or the USPS, will all require shipments by 10:30 a.m. in order to guarantee shipment the next day. FedEx and UPS can deliver by 8 a.m. the next day, while the USPS will arrive by 10:30 a.m. The weight limit for the United States Postal Service is 70 pounds, while FedEx and UPS has a 150-pound weight limit. According to a study performed by ShippingEasy.com, USPS, as long as the package weighed less than 70 pounds, was always the cheapest option. However, if the package weighed 71 to 150 pounds, then FedEx was a better option. Refer to their study to see the least expensive carrier for overnight shipping. Try to use discounts or see if any are available before shipping. FedEx, for example, offers discounts for American Express OPEN Savings® members. 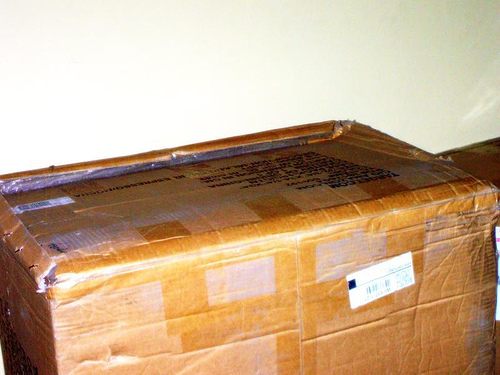 UPS, FedEx and the USPS can offer bulk discounts for those who ship frequently.